Ford is considering a Focus based small truck. Last edited by crixus; 07-29-2018 at 02:01 AM. 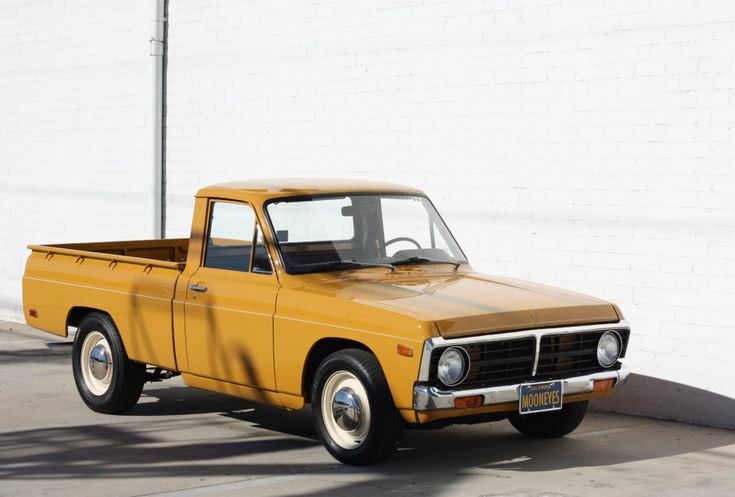 Ford Courier isn't new, but certainly has been redesigned to drive traffic away from it now. A pickup truck based on the POS Focus will be a failure. Last edited by crixus; 07-31-2018 at 08:14 PM. Ford discontinued the Ranger because it just wasn't selling enough of them to be financially feasible. If $4000 rebates and dealer discounts on a $23,000 vehicle aren't enough to sell them, it's time to put it to pasture. Ford could have put a 3.7L engine in the Crown Vic to get much better fuel economy.......but they dump the car. Now Ford has the POS Mexican built Fiesta, Focus, and Mexican built Fusion. .....slim pickins there. The Taurus is a good car but the center console is way too restrictive. Ford is definitely struggling with it's crappy small cars. Last edited by dvrich; 07-30-2018 at 03:12 PM. Next year only the Focus (I believe) and Mustang will be in the line-up, trucks and suv's from here on out. To be honest never gave a Ranger a second thought until they quit building them. Had dozens of them in our fleet at work, never any issues. used one's are way too over priced. Oh well live and learn. Well theres issues with every car brand out there, I don't care if its a Bentley or a KIA [killed in action].. Not to mention people just arent buying cars. I sold cars for 9-10 years, seen 4 transitions in the industry in that time and 2.5 years ago I saw the writing on the wall but .. well if you follow me on here, I'm considered a "Loon" by some. and well some people in the real world admittedly have had the same opinion. Yet all the good people I made friends with ultimately got out of the car biz and moved onto better things or started their own business like I suggested to them. It pays to be the farthest thing from the societal template. Nothing better than people coming back to you and saying "dammmmint.. you were right..."
My 2015 F150 with the standard 3.5 TIVCT gets the same overall fuel economy as the 2007 2.3L Ranger supercab I formerly owned. Not bad considering the F150 weighs 1400 lbs more. LOL. My Ranger (4.0) gets the same mileage as my F250 Diesel, but the Ranger fits in the garage and unleaded is $.50 cheaper. Both have their place and I like them both. I remember the Courier when I was a kid in the early 70's. There's a guy in my town that still drives one (similar to the one I posted a picture of above). Except his is all dinged up and faded. But it still runs! Last edited by crixus; 07-31-2018 at 08:13 PM. When most people think of Ford they think of trucks, SUV's and the Mustang. So I guess this move to dump the majority of their car lineup makes sen$e. I don't see many sedans on the road anymore, not new ones. It's mostly trucks and SUV's and an occasional sports car where I live. I'll stick to trucks myself and will give the new Ranger a hard look before I make my decision about buying a new one. They're supposed to be available sometime this fall. I called my local Ford dealer and that's all they had to tell me before they went into a sales pitch to try to sell me a F-150. And that's when I said no thanks and hung up. You can never get a straight answer from an auto dealership.